I, like many others, would love to uproot, buy a home in Italy and live the life as featured in the movie “Under the Tuscan Sun” (one of my favorites)! Fortunately, I lived it for a short time in Florence (Firenze). I've even been to Cortona multiple times along with Rome and Positano where the movie was partially filmed. I've been to the home, Bramasole, both in the movie and the real Bramasole owned by the famous author, Frances Mayes. Cortona is such a charming town with much character, as many of the towns in Tuscany. Upon my stay there years ago I made sure I got up very early to walk up to the top of the town, sit on the wall and watch the sun rise. Well worth the early rise! 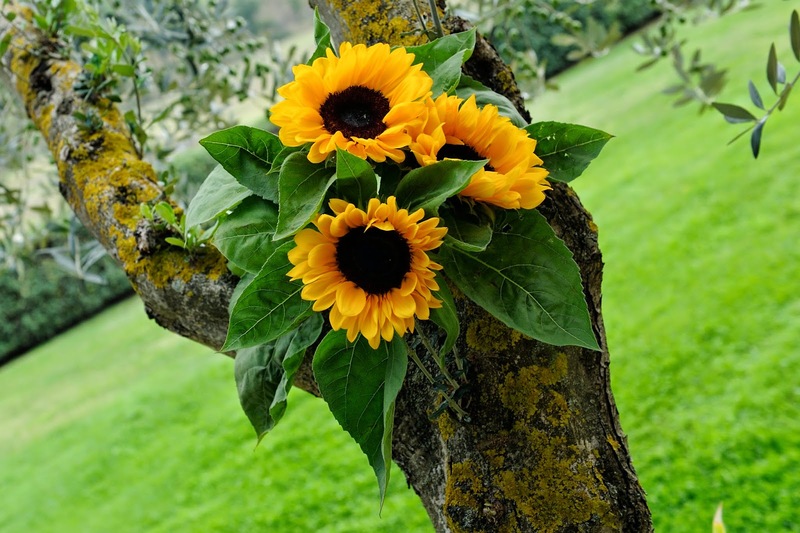 Recently on my visit in October, I made sure that we visited Cortona on the eve of our wedding so that I could get fresh sunflowers from Cortona for my wedding bouquet. We drove by Frances's beautiful home perched up on the hill that was under renovation. What started as a roof reconstruction, she mentioned, had led to other improvements that should be hopefully finished soon where she can start to replant her garden. The first time I visited the “Bramasole” from the movie the neighbor next door made me feel like I was living the movie and asked if I was going to buy it as it was up for sale at that time from what I remember for about 4 million dollars. I wish! Frances Mayes is actually an American professor and author whom I had the pleasure to meet at the Tuscan Market in Salem, NH, where they always host great events such as this one. Being a fan of many of her books including “Under theTuscan Sun”, “Bella Tuscany” and her new cookbook, The Tuscan Sun Cookbook, it was a great opportunity. Frances had been traveling in promotion of her newest book “Under Magnolia”, which is about her life growing up in the south. 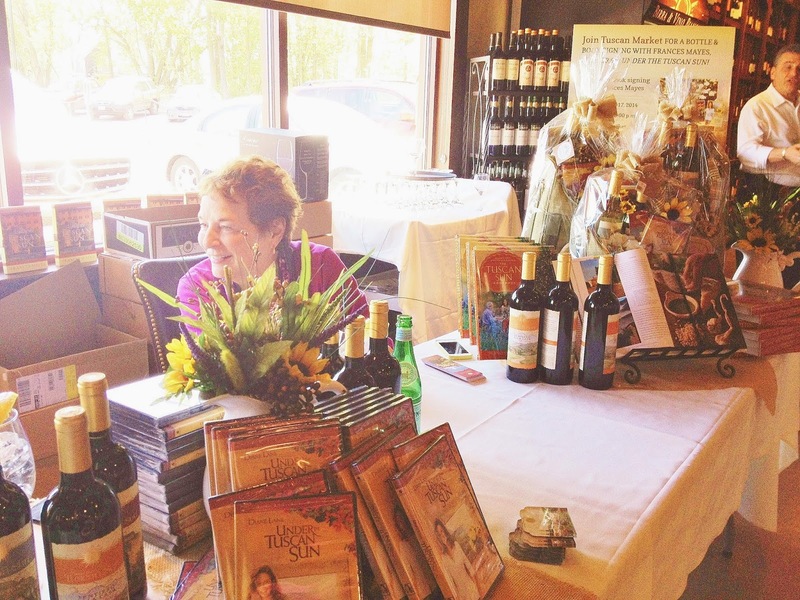 In addition to her great book she has also recently introduced a line of wines that she was promoting called the Tuscan Sun Wines from Curious Cork Imports. All the bottles of wine have unique names that stem from her books. Of all the wines I tasted the “Pensiero” and “Auguri” were my favorites. 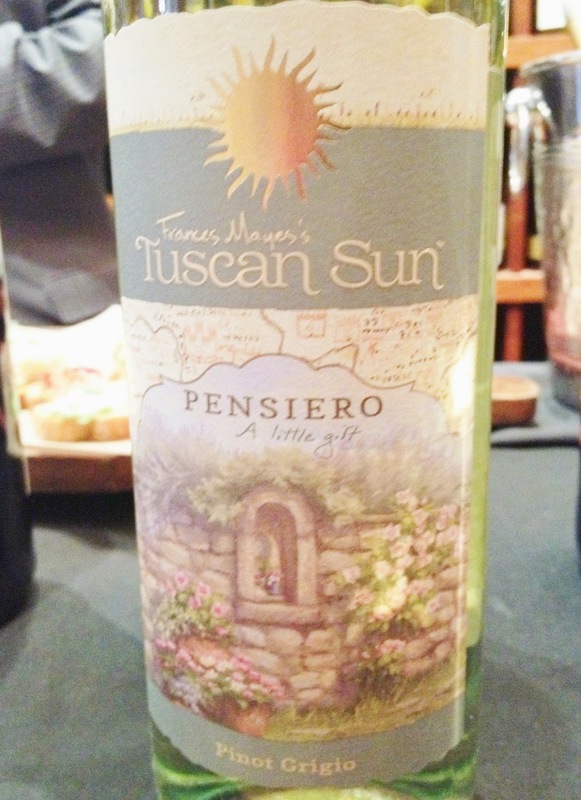 The 2012 Pensiero, meaning “a little gift”, is made of 100% pinot grigio. I thought this was a lovely wine with nice acidity and fruit with a touch of dryness. It rounded out nicely and even had some minerality to it. I highly enjoyed it and it's perfect for this time of year. The Pensiero also comes from the Alto Adige region of northeastern Italy, which I recently wrote about that you can view here. The other wine I enjoyed from the Tuscan Sun Wine line was the 2009 Auguri, meaning “best wishes”, which is made of 80% sangiovese, 10% cabernet sauvignon and 10% merlot. I found this wine to be very balanced and elegant with a nice lasting finish. Overall it was nice and rich with good structure and soft tannins. 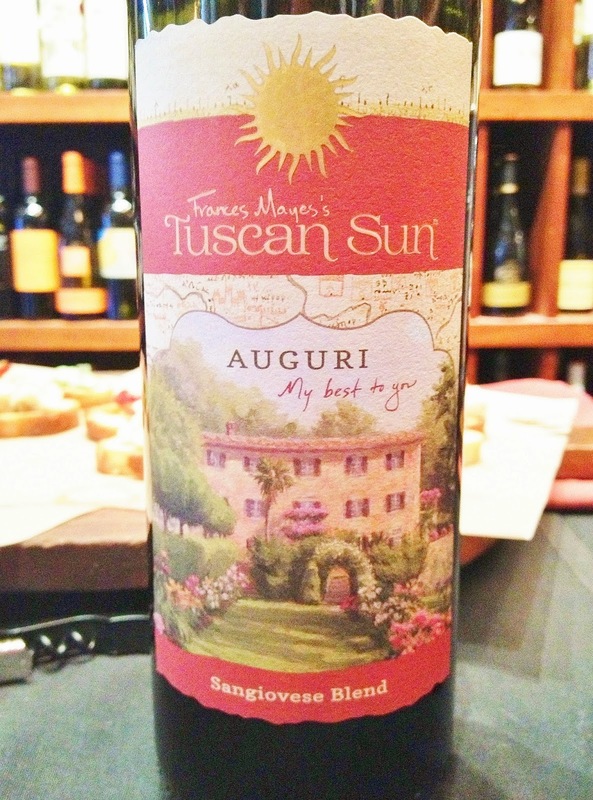 I personally thought it was the most structured with the most depth of the three wines and overall was impressed by the quality of the tasting of the Tuscan Sun Wines. 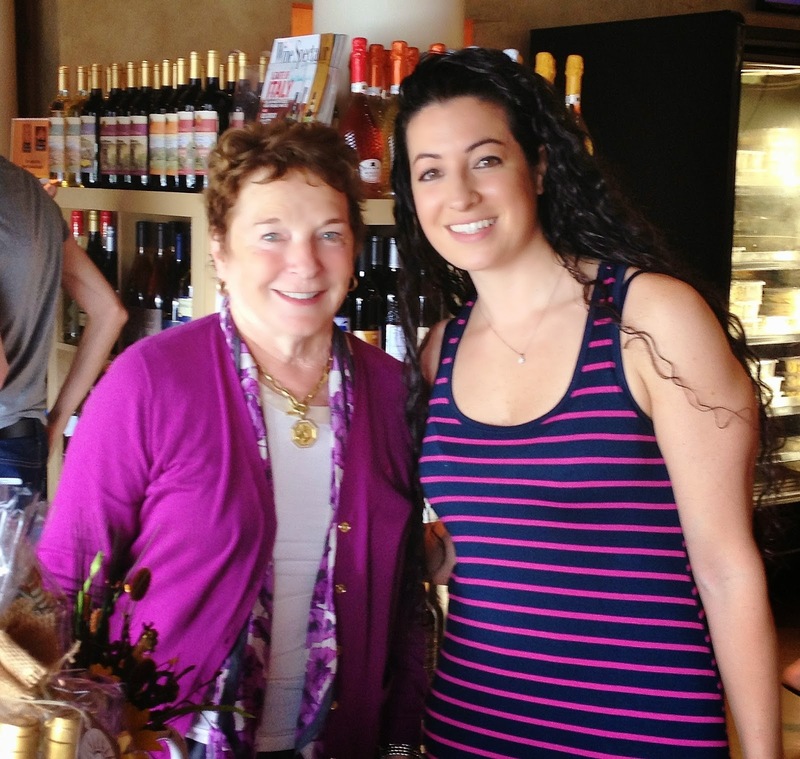 I'm sure Frances living in Cortona has brought more tourism to the area, but it brought more recognition to an area that others should be aware for all its spendor. Have you ever been to Cortona or have basked under the Tuscan sun? Ciao ciao for now!